31. Are you interested in being considered for work-study? Federal Work Study allows for students to work on campus and for the College while earning funds to help pay for education-related expenses, not unlike a regular job. 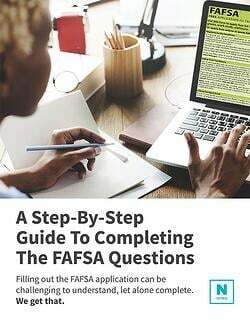 Answering “Yes” or “No” to this question will indicate to the school(s) in which you are applying that you are interested in the Federal Work Study program or not. Indicating your interest in Federal Work Study does not guarantee a job on campus for every school. If you change your mind about Federal Work Study, you may decline it.